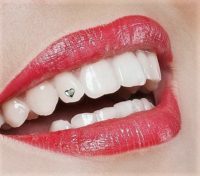 Dental jewelry make crystals of different colors and shapes that are glued to the surface of the tooth completely non-invasive technique, without sanding and completely painless. On teeth can cost up to several years, and if you want to remove or change very easily removed without leaving any trace on the tooth. 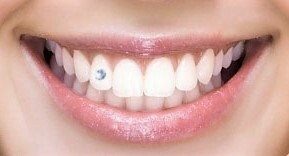 It is usually placed at the front of the upper teeth and placing them over for just 15 minutes.